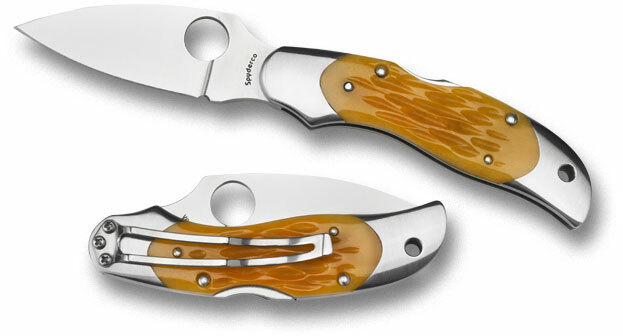 Description: The Spyderco Kopa is available in a myriad of handle insert variations, with every variation produced in 600 peice limited editions. 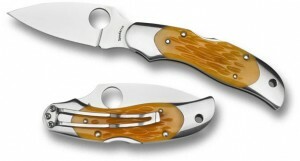 The model does not appear in Regular Spyderco Catalogs only Sprint Run catalogs. All Kopas are currently made with VG-10 steel and are plain edge. This entry was posted on Wednesday, October 28th, 2009 at 8:55 pm	and is filed under 2" or Smaller Knives, Designer - Sal Glesser, Features - Bolsters, Features - Limited Edition, Handles - Bone, Handles - Carbon Fiber, Handles - Coral, Handles - Inlays, Handles - Micarta, Handles - Mother of Pearl, Handles - Wood, Lock - Lock Back, Manufactured - Japan, Steel - VG-10, Type - Folding Knife, Type - Office Friendly. You can follow any responses to this entry through the RSS 2.0 feed. You can leave a response, or trackback from your own site. Sorry, not sure. ebay will be a good tool for value.